Pocket Watches Collectibles - Collected It! 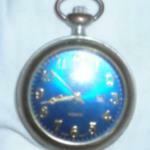 Anne Morgan (210) added the picture adpen to Pocket Watches. Anne Morgan (210) updated the description for Pocket Watches (added).